Welcome to Corning and the Southern Finger Lakes, where walkable city centers, rolling hillsides, quaint villages, glacier-carved lakes, verdant farmland, and award-winning wineries combine for a great place to visit and to retire. As home to Corning Incorporated, there is a commitment to excellence throughout the community, with investment in good school systems, a vibrant arts community, great local restaurants featuring locally sourced dishes. Our two major city centers are Hornell and Corning, situated along Interstate 86. Known as the "Maple City" for its many maple trees, Hornell is a situated in the Canisteo Valley in the western part of Steuben County. It is a small farming town with a rich history in railway transportation. The Erie Railroad arrived to Hornell in the mid-1800s, bringing with it an opportunity for prosperity. The railroad transformed the quiet town into a lively city. Hornell today has a great mix of rural warmth and a bustling business community, accented with an array of arts and fun festivals. Whether you're interested in the history of the area, fantastic examples of historic architecture, finding that perfect antique for your house, or the many events and museums in the area, Hornell is a rural community with a lot to offer. Known as America's "Crystal City", Corning has a history rich in glass innovation. As headquarters for Fortune 500 Company, Corning Incorporated, Corning has been on the cutting edge of great advancement in science and technology. From telescopes to fiber optics, Corning's innovations have allowed us to stretch beyond all possible boundaries. Home to the largest collection of art glass in the world, The Corning Museum of Glass has delighted and informed visitors for more than 60 years with its collection of over 45,000 objects. Whether you're interested in ancient Egyptian glass or want to see modern sculptures, or even windows designed by Louis Comfort Tiffany, you can find all that and more at the museum. Journey through 3,500 years of glass making history and discover why a material so commonplace in our lives has left such an indelible mark on history. Watch glass come to life before your very eyes at the Hot Glass Show. Master gaffers (glassblowers) make the craft look effortless as they blow vessels and sculpt vases. Visit the museum's Make Your Own Glass studio and create your own glass souvenir to cherish. Blow an ornament, make a flower, fuse a picture frame, flame work a bead, sandblast a glass – and so much more! Hammondsport has officially been named America's Coolest Small Town, by readers of Budget Travel magazine. 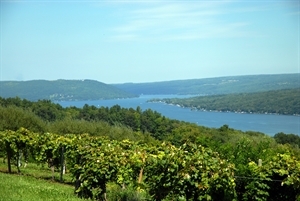 Whether you're taking in a breathtaking view of Keuka Lake or sipping one of the superb Finger Lakes wines made there, one thing becomes very clear: Hammondsport has no competition. Its beauty and excellence is unmatched. With the allure of the Finger Lakes and the prestige of big-name wines like Dr. Frank, Hammondsport is the small town to beat. Known as the Cradle of Aviation, Hammondsport is home to the Glenn H. Curtiss Museum. Curtiss was the first person to introduce aviation into the public eye when he flew his "June Bug" over Keuka Lake on July 4, 1908. These are just a few of our communities. Whether you live here or you're just visiting for a day, it doesn't take long to realize you're someplace special. 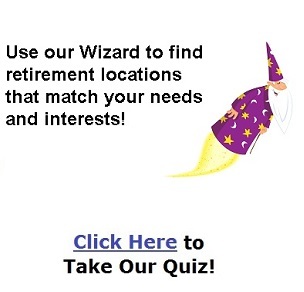 We'd love to have you retire here too. Includes Cities/Towns: Addison, Alfred, Almond, Andover, Arkport, Atlanta, Avoca, Bath, Beaver Dams, Bradford, Burdett, Cameron, Cameron Mills, Campbell, Canaseraga, Canisteo, Cohocton, Coopers Plains, Corning, Dundee, Greenwood, Hammondsport, Hornell, Jasper, Kanona, Lindley, Painted Post, Prattsburgh, Pulteney, Savona, Troupsburg, Tyrone, Wayland, Wayne, Whitesville, Woodhull. Each of our communities hosts Farmers Markets and Music in the Park during the summer, both are free outdoor events. The Finger Lakes Trail system affords nearly 1000 miles of footpath across NYS, traversing through Watkins Glen State Park and Stony Brook State Park. Plenty of cross country skiing areas are available in the state forest lands and . Downhill skiing mountain resorts are a short 90 minute drive. Keuka Lake not only offers excellent fishing for lake, brown and rainbow trout as well as land-locked salmon, it also provides great boating adventure. Kayak, canoe and boat rentals are available in Hammondsport with delivery service to lake cottages included. In edition, Corning & the Southern Finger Lakes is home to the best whitetail deer hunting in NYS. What do you get when you combine molten hot glass, the "wild west," and the fastest man on earth? Only some of the coolest museums around! You might wonder, what's the big deal about glass? But once you see it for yourself you'll get it. Whether it's watching gaffers shape glowing hot globs of glass into something remarkable or it's traveling back 35 centuries through the glass artifacts of different cultures or it's becoming an artist yourself and making your own one-of-kind work of art, the Corning Museum of Glass is the best place on earth to celebrate the wonders of glass. Throughout the year, the museum also offers several free themed events called 2300° celebrations which include live glassblowing demonstrations, live music, great regional food, and lots of toe-tapping fun. Sometimes visiting an historical museum can get a little old. But places like the Benjamin Patterson Inn Museum bring history to life. In addition to a collection of historic buildings, including the oldest in Steuben County, the museum has a few special events each year, like Whingblinger, that allow you to not just see what it was like to live a hundred years ago, but to actually do some of the things that were done back then, like hearth cooking and blacksmithing and weaving. Take the free shuttle and you'll find something rather unexpected here in the east – a museum devoted to the west. Everything about The Rockwell Museum is cool, from Artemus the Buffalo crashing out the side of the building to the old jail cell inside, from the Remington and Russell Lodge where you can sit back and relax among the artwork to the enormous paintings and contemporary sculptures on the third floor. There are backpacks full of interactive fun for kids and even a room where they can dress up and play. And adults get to let their hair down at a number of exciting Finger Lakes events throughout the year, like "Music, Margaritas & Sunsets" where you can experience wonderful art, then slip outside and enjoy live music, adult beverages, and sunsets on the third floor terrace. MOTORCYCLES, CARS & PLANES! OH MY! Sometimes you scratch your head and wonder, "Why didn't I know about this before?" The Glenn H Curtiss Museum is the sort of place people visit without always knowing what to expect and leave excited about their discovery. In addition to learning about the "fastest man on earth" who also happened to be a brilliant inventor and a daredevil of sorts, you'll find vintage motorcycles, cars and planes. There's even a wreathe made entirely of human hair, as well as popular annual exhibits and awesome museum-sponsored events like the annual Seaplane Homecoming on Keuka Lake. In addition to planes and automobiles, trains also played a part in our history. Even though the railroad might not play the role it once did, you can still find places where it's revered. The Erie Depot Museum in Hornell contains over 700 artifacts that focus on the Erie Railroad's history and on the people who made it what it was. There are many other museums to see while visiting the Corning Finger Lakes region - you'll want to see them all! Downtown Corning and Hornell are very walkable communities. Buses are available to get between communities, but you need to have a car to visit the lakes and wineries. Elmira-Corning Regional Airport is serviced by United, Delta, USAirways, and Allegiant Airlines. Jan 13.8 F° 23.0 F° 32.2 F° 1.9 "
Feb 15.2 F° 25.4 F° 35.5 F° 1.7 "
Mar 22.0 F° 32.9 F° 43.8 F° 2.4 "
Apr 32.6 F° 44.8 F° 57.1 F° 2.9 "
May 42.1 F° 55.4 F° 68.8 F° 3.2 "
Jun 52.0 F° 64.6 F° 77.2 F° 3.9 "
Jul 56.4 F° 68.8 F° 81.2 F° 3.8 "
Aug 54.7 F° 67.1 F° 79.5 F° 3.4 "
Sep 47.7 F° 59.9 F° 72.2 F° 3.4 "
Oct 37.2 F° 48.7 F° 60.2 F° 3.1 "
Nov 29.3 F° 38.8 F° 48.3 F° 2.8 "
Dec 19.9 F° 28.1 F° 36.3 F° 2.3 "
Temperatures in the Finger Lakes vary throughout the day. In mid-summer, mornings may be cool, but afternoons quite warm. So pack windbreakers, fleece vests, light sweaters and jackets - anything easy to layer. Our weather varies most in the Fall and Spring when the ground can be soft. If you're planning on hiking or being outdoors, pack extra pairs of shoes for the end of the day and all your outdoor gear. Since most of the Finger Lakes region is best explored outdoors, you'll want to watch the forecast each day. If the weather isn't bright, don't fret! There are many indoor activities appealing to every taste. Attend a glassmaking workshop at the Corning Museum of Glass, visit one of our museums and historical attractions, or go on a wine tour and taste your way through the Finger Lakes.